See Guidelines for New and Substitute Teachers which is stored under Policies & Plans - Human Resource Management. Click here to access FAQs developed by the DES in relation to Panel Rights. 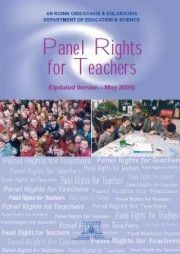 Developed for temporary teaching posts but could be used for permanent posts also.